The Syngenta litigation reached a crucial milestone on September 26, 2016, when U.S. District Judge John W. Lungstrum issued an order certifying a nationwide class and eight statewide classes of producer plaintiffs in the multi-district litigation pending since 2014. Many farmers will soon receive notice informing them that they are automatically included in this class action, unless they choose to opt-out. The existence of a class action means that anyone who meets the court’s definition of a class member but does not opt-out (affirmatively exclude himself from the litigation) will be bound by the ultimate judgment, even if that judgment is occasioned by a settlement. As discussed more thoroughly in past articles, Syngenta is facing legal complaints from thousands of plaintiffs across the country regarding its alleged premature commercialization of a genetically-modified corn trait. Although the product had been approved for sale in the United States and many other countries, it had not been approved for import into China at the time it was offered for sale in the U.S. In November of 2013, China rejected the import of all U.S. corn, asserting that it was tainted with traces of the unapproved trait. The average price of corn per bushel dropped by more than half between the summer of 2012 and the fall of 2014. A number of corn exporters, handlers, grain elevators, and farmers alleged that the drop in price was largely due to China’s rejection of U.S. corn. They asserted that Syngenta wrongly marketed the product before China had agreed to accept it. They began filing lawsuits in 2014. Although many farmers have filed individual lawsuits against Syngenta, proposed class actions were filed on behalf of (1) corn producers and (2) non-producers like grain elevators and transporters. The plaintiffs filing these class action lawsuits sought to represent other like plaintiffs in litigating their claims. (2) breached its duty of care to the plaintiffs by prematurely commercializing the GM corn trait without reasonable safeguards and by instituting a careless and ineffective “stewardship” program which ensured contamination of the U.S. corn supply. The primary reason for certifying a class action is that the number of potential plaintiffs is so large that it is not practical to join all members into a single action. Consequently, the action is prosecuted by class representatives (people who have claims typical of the other class members) on behalf of the entire class. The court found that the proposed number of class members in each of the eight states at issue (with the exception of Arkansas) would be in the thousands. This evidence, the court found, was sufficient evidence to establish that the class is so numerous that joinder would be impracticable. The court also found that the claims or defenses of the representative parties are typical of the claims or defenses of the class members. Specifically, all of the class members are alleged to have suffered the same injury, which is lower corn prices caused by a depressed market, stemming from the same Syngenta conduct. The court next found that the class representatives who filed the class action lawsuit will fairly and adequately protect the interests of the class. The court ruled that the class counsel would ably and skillfully prosecute the claims. Once finding that class certification was appropriate, the court defined the nine classes, meaning that the court specifically detailed who would be included in each class. First, every class consists only of producers who priced corn for sale after November 18, 2013, and who did not purchase Viptera or Duracade corn seed. A “producer” is defined as “any person or entity listed as a producer on an FSA-578 form filed with the United States Department of Agriculture.” In other words, a cash rent landlord who does not share any risk of production is not part of this class. A crop-share landlord who meets the other definitions, however, is. The class definitions also exclude those who filed suit in Minnesota state court on or before June 15, 2016, and who are represented by attorneys who executed joint prosecution agreements with the class representatives’ co-lead counsel. Finally, it is important to note that a separate opinion will issue on the class certification motion filed by non-producer plaintiffs, including exporters, grain elevators, and transporters. The September 27, 2016, class certification opinion only covers farmers. A nationwide class consisting of Producers asserting claims under the Lanham Act, as the term “producer” is defined above. Asserting claims for negligence and for tortious interference, a statewide class consisting of Arkansas corn producers, as that term is defined above. Asserting claims for negligence and for violations of the Illinois Consumer Fraud and Deceptive Business Practices Act, a statewide class consisting of Illinois corn producers, as that term is defined above. Asserting claims for negligence, a statewide class consisting of all Iowa corn producers, as that term is defined above. Asserting claims for negligence, a statewide class consisting of all Kansas corn producers, as that term is defined above. Asserting claims for negligence and for tortious interference, a statewide class consisting of all corn producers in Missouri, as that term is defined above. Asserting claims for negligence and for violations of the Nebraska Consumer Protection Act, a statewide class consisting of all corn producers in Nebraska, as that term is defined above. Asserting claims for negligence, a statewide class consisting of all corn producers in Ohio, as that term is defined above. Asserting claims for negligence, a statewide class consisting of all corn producers in South Dakota, as that term is defined above. Because of these class definitions, a typical corn farmer in Iowa, for example, would be automatically included in two classes, the nationwide class and the statewide class. The Lanham Act is a federal statute. It thus applies to all producers. Each state has a different class because individual state laws provide farmers different remedies for the same alleged tortious conduct. Iowa farmers, for example, cannot pursue the same tortious interference cause of action pursued by Arkansas farmers. This ruling means that corn farmers who meet the definition of producers are automatically included in the nationwide class and that corn farmers from the eight listed states who meet the definition of producers are automatically included in their respective state classes. Any remedy obtained by the class action will automatically accrue to the members of the class. If a monetary remedy is granted, the class members would be required to produce some type of proof of entitlement to that remedy (i.e. 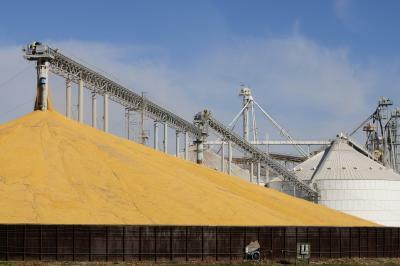 proof of number of bushels sold, etc.). However, they would not be required to litigate the matter or present proof of any wrongdoing by Syngenta. On the other hand, class members are not required to remain in the class. They may choose to opt-out and pursue their own legal actions against Syngenta. It is likely that the statute of limitations was tolled during the pendency of the class certification question, allowing time to do so. However, anyone choosing this path should have a clear reason to forego the class remedy. Individual class members who remain in the class would have an opportunity to file objections to any proposed settlement. Class member notice will be issued by the plaintiffs' counsel in the upcoming months. The notice will provide each class member with a summary of rights and details regarding the pending claims, including how attorney fees would be paid in the event of a settlement or judgment. It should also provide instructions for opting out of the class action. A bellwether (test case) trial of class representatives is scheduled for June of next year.